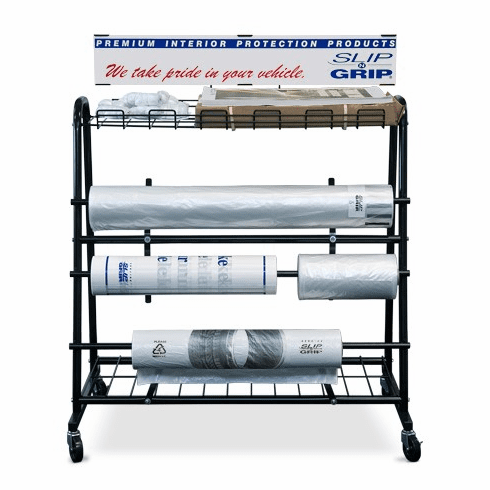 Our dispenser rack holds everything you need for a complete vehicle protection system including seat covers, steering wheel covers, plastic floor mats, parts bags and tire / trash bags. Designed to fit neatly in your service facility and keep products within easy reach, it can be customized with your company name and logo. Slip-N-Grip® Plastic Floor Mats Constructed of a unique, multi-layered plastic film, this floor mat stays in place. Impervious to water, oil and other shop chemicals. 1 roll of 500. Slip-N-Grip® Seat Covers Unique, multi-layered plastic film allows the bottom layer to grip the seat, while the top surface lets technicians easily slide in and out of the vehicle – without displacing the seat cover. Slip-N-Grip® seat covers work because they stay in place! 1 roll of 250. Steering Wheel Covers Elastic-banded covers are easy to install and protect steering wheels from grease and grime. 1 box of 250. 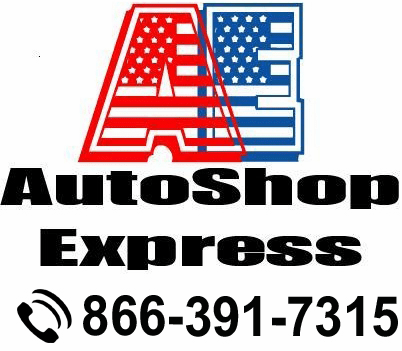 Parts Bags Clear plastic lets customers inspect worn/defective parts without soiling vehicle interior or hands. 1 roll of 500. Tire/Trash Bags Protect trunks and SUV interiors when transporting tires for storage or use as handy trash bags. 1 roll of 100.